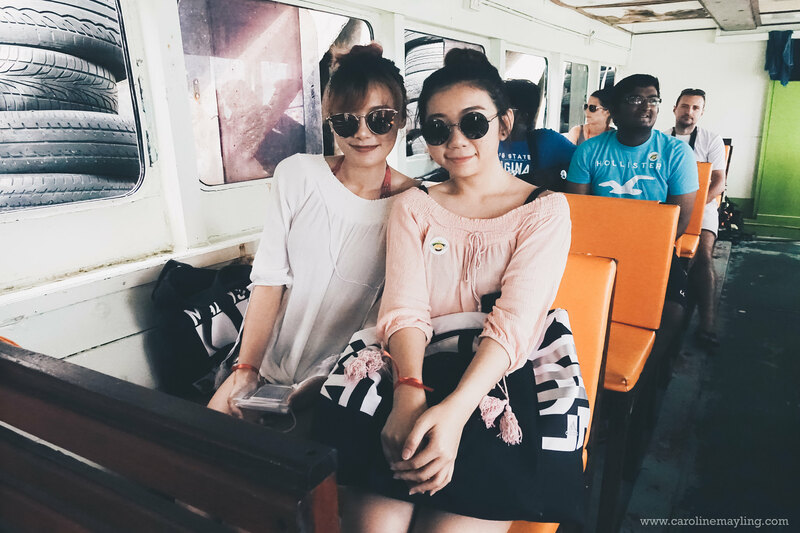 Instead of booking ourselves with morning island hopping tour, we opted for the afternoon session that comes together with the sunset cruise. We woke up at 8am, took breakfast and get ready for the tour. Just an hour before the tour van come to pick us up, we quickly drop by the tourist information to book for our airport transfer for the next day. As the tour starts at 2pm and there'll be no lunch provided, we grabbed some snacks to munch that can last before our dinner time! The weirdo tour guide // I have to put this here as one of the tour guides actually creeped us out. First, he used lame pick-up line to Yuen Teng. Then start writing mushy stuff and asked me to read it which I thought he wrote it for his girlfriend (I mean, you don't say you miss me when you first meet me right?) We really thought that he was just trying to be cool and fun, and he can speak our language too! By saying that, he speaks English, Mandarin and Malay language. He kept on speak Chinese to us which was okay and we thought aww he's good. Not until half way of the tour when I was trying to rest myself and he actually woke me up from the nap (Yuen Teng was totally freaked out as she was sitting next to me) and he actually show me the things he typed in Chinese (I read it word by word and he wrote some mushy stuff that freaked me out a bit too.) and I just nodded. He then actually asks for my hand which I thought he just wanted to shake hand and it turned out he took my hand and kissed my hand! Both Yuen Teng and I seriously freaked out at this time and trying our very best to avoid him in any way since then. Hairdo for island hopping tour. 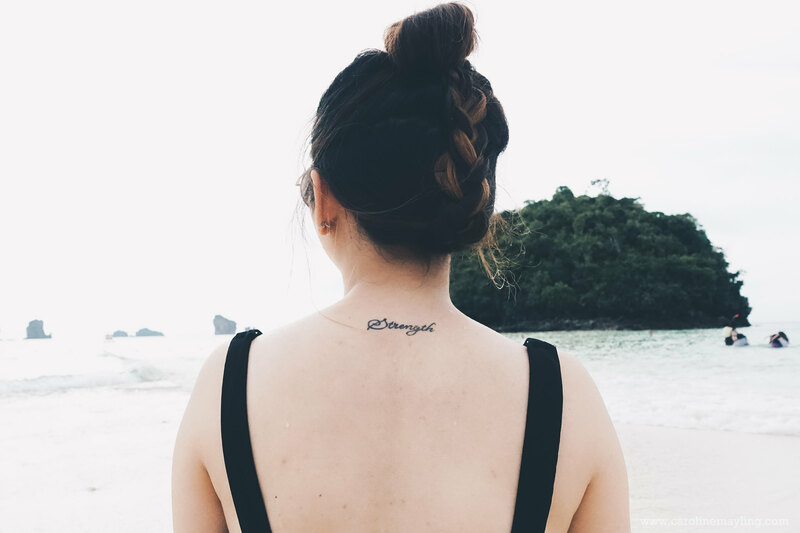 If you know you'll be entering the water, it's better to just do a hair bun hairdo with a little twist to avoid the boring hair bun. 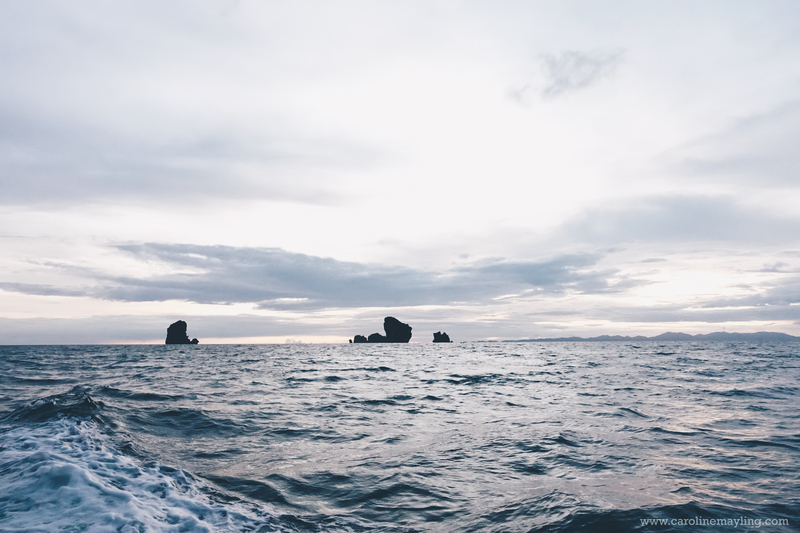 Tup Island // an exotic tropical island, ideal for easy snorkelling and exploring on foot. When the tide is low, you can actually walk along the sand bank causeway joining the neighbouring island. 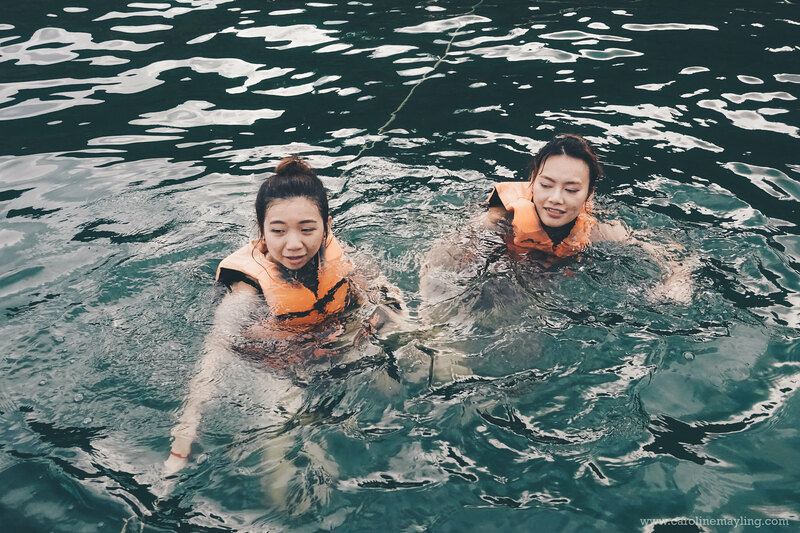 Tang Ming Island // Snorkelling. See lots of fish, coral and Nemo! Si Island // Snorkelling on the coral reef. Deep Water Solo // Adventurously climbing upon a beautiful limestone rock and jumping into the ocean. Anyone can do it. note: not possible in the low season due to rough sea. Chicken Island // Local landmark, named after the shape of its unique limestone jutting out into the sea. 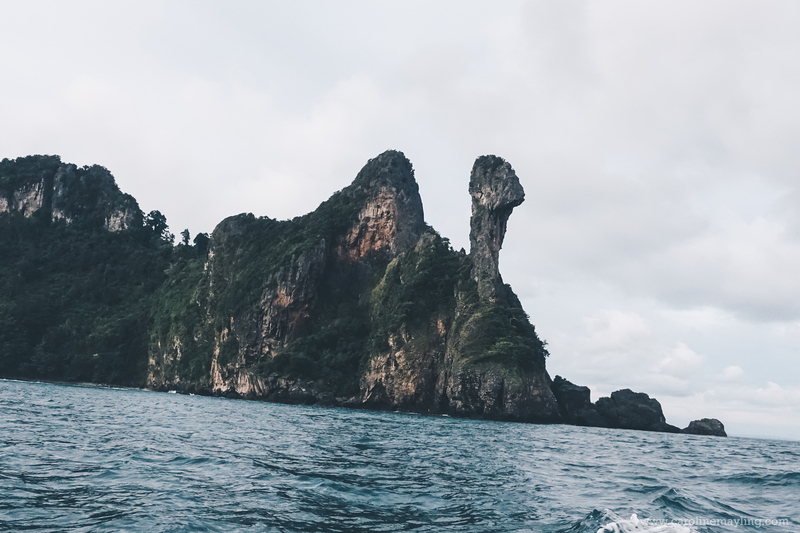 Poda Island // A stunning jewel in the Andaman sea with both lowland, picturesque bamboo plantation and majestic, rocky cliff. 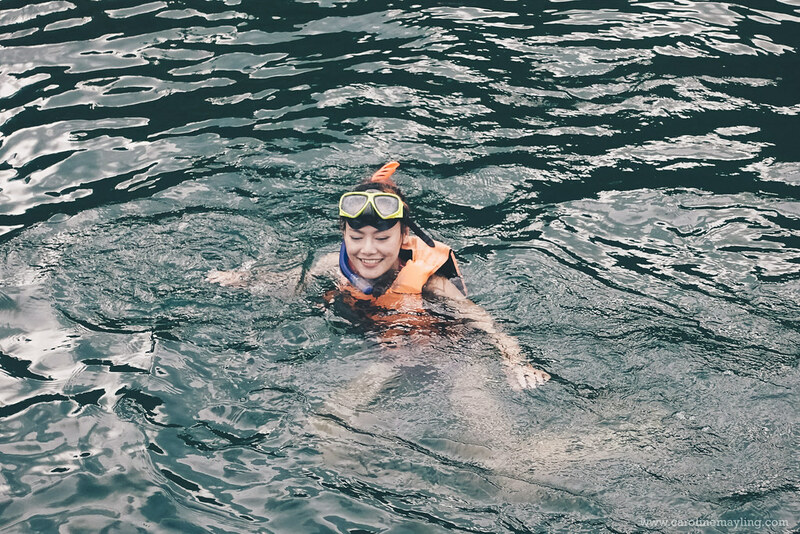 Phra Nang Cave // Swimming and see phytoplankton on one of the world's most beautiful beaches. Was it really as nice as it claimed to be? Not really. We only did snorkelling at one spot. There's nothing like deep water solo but jump off from the boat. But then again, it was drizzling and I bet it's low season time too. We had our buffet dinner at Railay's beach and watched fun fire show by the tour guides too! The sea plankton experience was really amazing. However, for the price we paid after the bargain, it was all good! Hey! I love your blog!! It looks like you had a fun vacation! I would love if you could please check out my blog www.saloniguptablog.wordpress.com thank you!! Very nice trip to Krabi. Thank you very much for sharing your amazing photos & awesome experience. I really liked the way of writing in your blog. 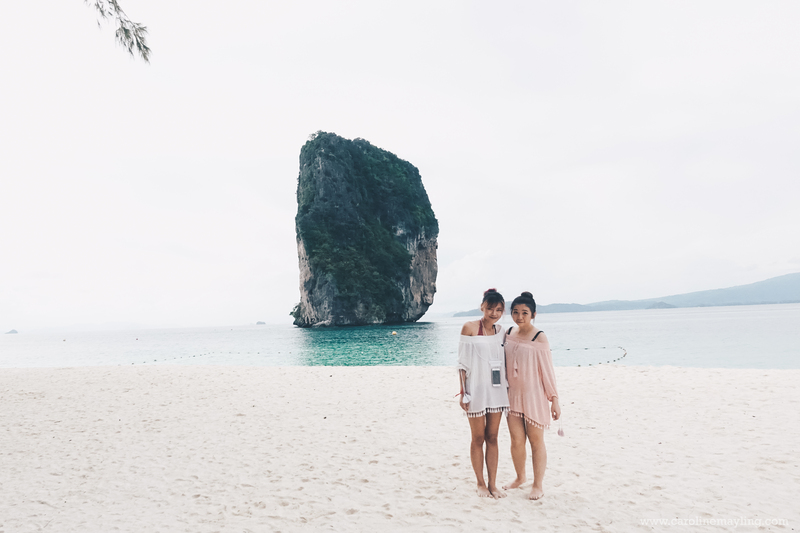 Krabi has many beautiful beaches and most of them are located on the paradise-like islands that you can explore while island hopping in Krabi. Wow... nice blog and amazing island, I love it. It's a best place to spend the summer vacation in Thailand. What To Do In Langkawi?